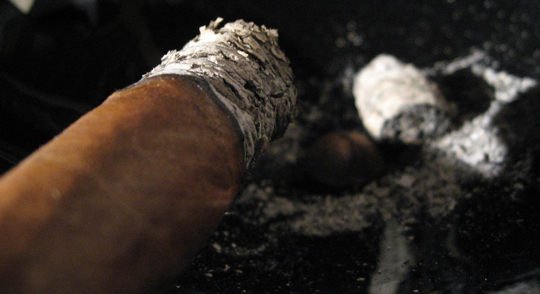 Today’s cigar comes from a name that is well known in the world of cigars. He was the mastermind being the La Gloria Cubana line which exploded in popularity in the 90’s and still holds a strong following. 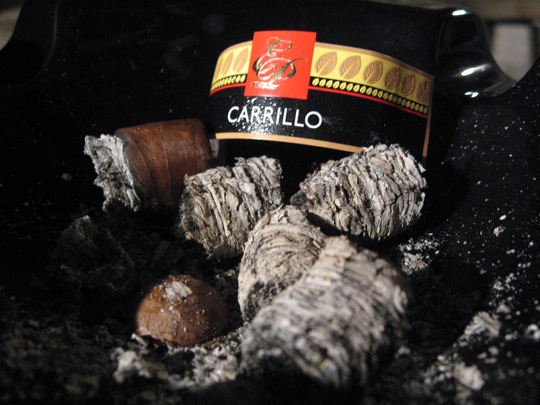 Ernesto Perez Carrillo was hard pressed to meet the demand that his popular line had produced. 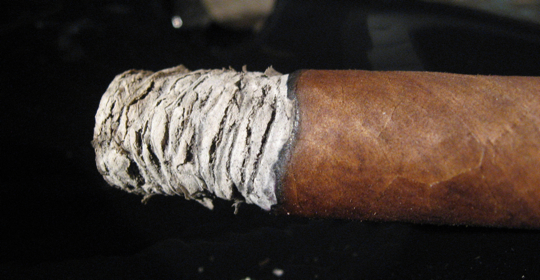 EPC Cigar Co.’s third entry into their growing line is their full production cigar named the E.P. Carrillo Core Line. 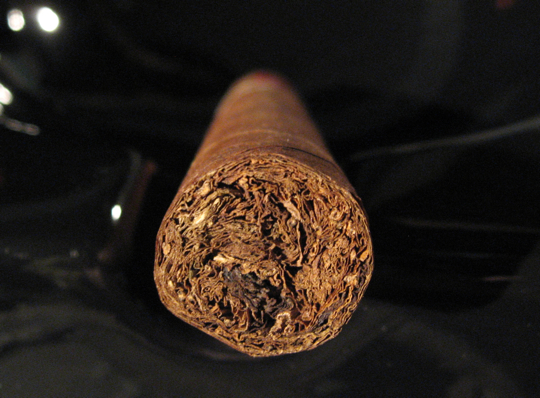 This cigar is currently available in a variety of 6 sizes ranging from a short robusto up to a churchill. 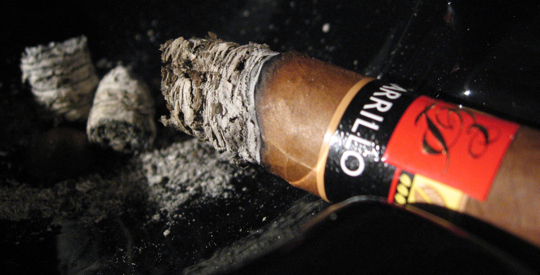 Today’s cigar is the toro size which is called the “Club 52” which refers to it’s ring gauge. Although my tasting notes don’t seem all that spectacular this was actually a pretty good cigar. I think it’s biggest downfall was the lack of changing flavors. It wasn’t incredibly dimensional or vastly complex but it was a good smoke. The construction was excellent leaving a perfect burn line from start to finish, the price is accessible and the flavors, although straightforward, were still quite tasty. It reminded me of some Cubans where the majority of the flavor was woodsy with some hints of spice and creaminess here and there. 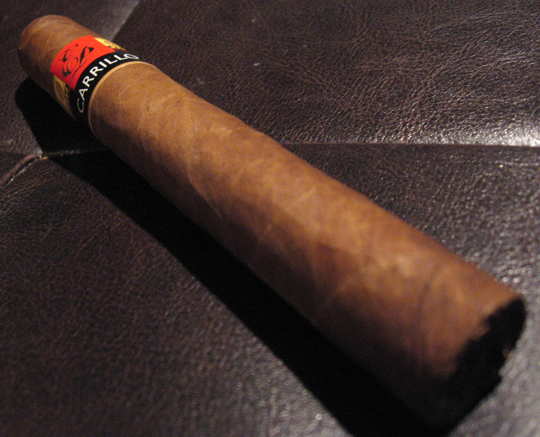 I would recommend this cigar to pretty much any level of smoker. I think it has something to satisfy an experienced smoker and something for a new smoker to enjoy easily. I’d definitely recommend picking up a few of these and trying for yourself. I think Ernesto Perez Carrillo has another solid smoke on his hands here although his first two releases may have this one beat. I also believe some age on these sticks might allow a little more complexity to build into the cigar, I’ll definitely revisit these in a couple months to see how they’ve changed. Great Lakes Brewery is one of the few craft breweries that seem to be getting their seasonal ales into the Ontario beer market. Our restrictions here are quite high and that makes a lot of other seasonals rare to see. The Pumpkin Ale was a good amber brew with a bit of spice but I was expecting a little more spices or some sort of pumpkin flavors but they seemed very light and hard to pickup on. 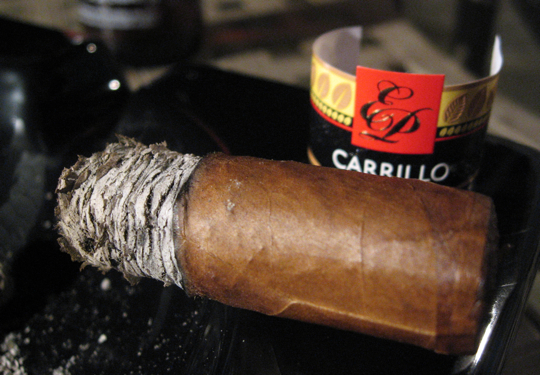 I also enjoyed an EP Carrillo Core Line Robusto with some Tawny port and found it to be a better match. Some coffee, Scotch, dark soda or a hefty stout would also make an excellent pairing here. Thanks for the comment Byrdman! I wish we had more selection of Pumpkin beers up here, it’s the only one I’ve been able to find so far. Nice review. 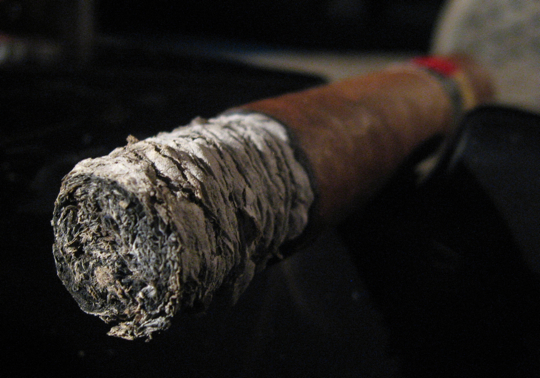 I really enjoyed this cigar as well. 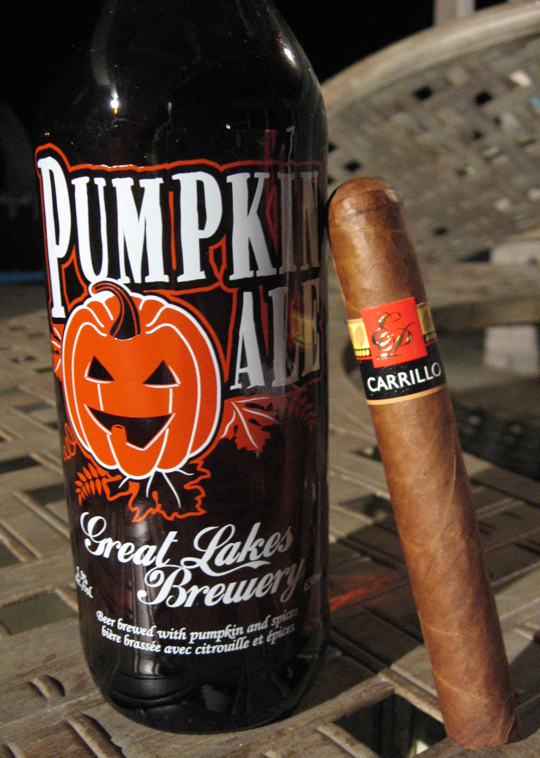 Paired mine with a pumpkin beer also. I just happened to be smoking one of these myself when I came across your tweet regarding this review. I an becoming a big fan of this line and this size in particular. I found the short run so much more enjoyable than this one… the encore? blows them both out of the water. Great review dude! Thanks bud, I’m gonna give the Short Run a try tonight I think, gotta compare them. I also have one encore as well that I need to try. Nice review. I think the problem is that you smoked the wrong size. The smaller ring gauge vitolas are fantastic. You know I just can’t seem to pull the trigger on these. Not sure why, I actually had two of these in my hand and two Short Runs but ended up putting them down. I do love the Innaugral 2009 and need to keep a few of those on hand for sure. Thanks Big D!